A family running a construction materials shop in Hai Phong has resorted to using an unusual security guard: a mannequin. Thu Trang’s family in the northern city of Hai Phong has been in iron and steel trade for 15 years. They leave some of their stocks out by the front door because there is often not enough space inside. This frequently results in stuff being stolen. 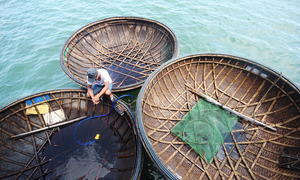 Trang said in a forum on the internet: "We have been robbed many times recently as we place the materials out in front. But every time we checked our CCTV camera, there is this big, burly man who passed by and stole our steel. 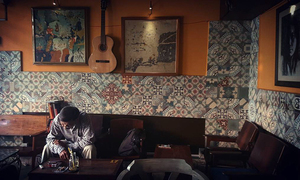 "Accompanying him is another burly man who waits for him on a motorbike and they drive off very quickly. We kept looking out for the thieves to catch them but to no avail. "So my mother came up with the idea of using a mannequin as our watchers. Passers-by think there is somebody guarding the door; some are alarmed, some are amused. Anyone having a thief problem can try this strategy." 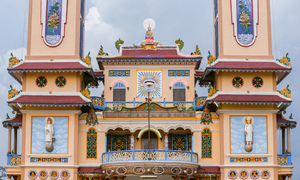 A mannequin guards the iron and steel stocks of the family in Hai Phong City. Trang's family got robbed four or five times a month, losing several hundred thousand dong ($10-40) each time. The latest stolen item weighed over 50 kilograms and was worth nearly VND900,000 ($38.5). "My mother thought of placing a mannequin in the living room chair. She didn’t tell anyone about this. One night I came downstairs to drink water at 11 p.m. I could not see clearly, so I thought we had a late guest. 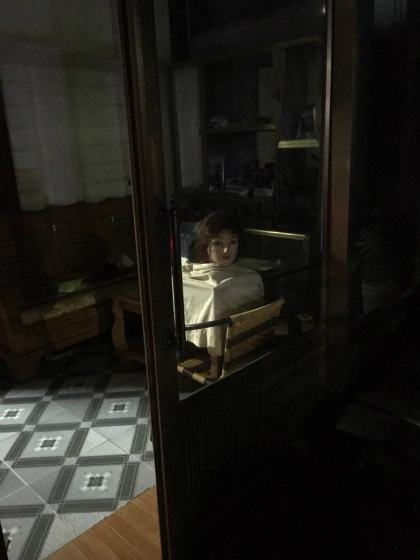 Once I realized [it was not a human], I was so frightened my heart skipped a beat – a lady mannequin sitting in the middle of the living room." Trang puts the mannequin away during the day. They have been using it only for a week now, and so are not sure how effective it will be, but they hope it can keep burglars away. On the other hand, many netizens are positive it will work. In a forum called "No fear of dogs", some Facebook users also shared their experience of using this strategy or seeing someone else do it. Ngoc Nguyen, a forum member, said: "I was driving my friend home one midnight, and my hair stood on end when I saw one of these on the way back." 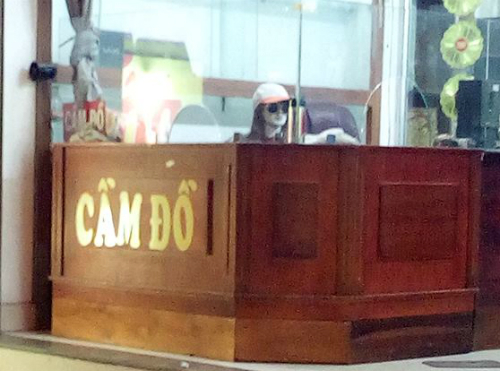 According to Nguyen Long, another forum member, a pawn shop he saw also uses mannequins like this. Member Lac Lac mentioned another family that has been employing the same trick for quite some time, as pictured below.